ID MAX.U1002 is an autonomous RFID reader for establishing vehicle access control systems. Place of use is everywhere where vehicles should be granted permanent access to employee parking lots, driveways to companies, authorities or other closed facilities (Perimeter Protection). 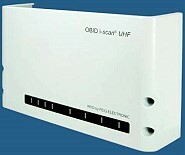 For identification of a vehicle in connection with the ID MAX.U1002 passive, maintenance – free UHF transponders are used, which can be stuck behind the windscreen of the vehicle. With ID MAX.U1002, up to 1,000 access permissions can be managed. Each user can be assigned to additional temporal access parameters. For this, there are 15 user – definable time zones available. Holidays and vacation days can be included, easily. To monitor multiple lanes or the simultaneous checking of entry and exit, there are two antenna ports and two digital outputs available. No Theft GPS complete tracking system for farm / construction heavy equipment – Installation is a three wire hookup. Usually installs in less than 45 minutes. 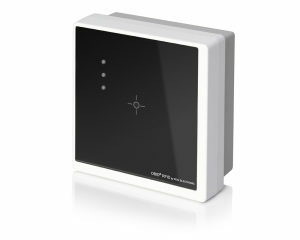 Use in industrial and commercial installations as a part of a complex access control system with widely distributed access points. Furthermore it can also be used for single doors in small and medium-sized installations.